As a pioneer in the drug transporter field for 16 years, SOLVO is dedicated to exploring the science of transporters and their role in xenobiotic efficacy and safety. With frequent Webinars hosted by respected scholars and professionals, as well as numerous peer-reviewed publications, our commitment and scientific contribution to the transporter field is well recognized. 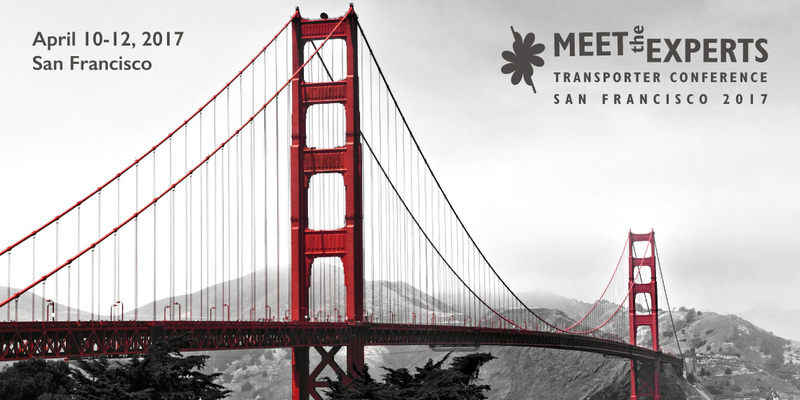 After the great success of our events in SOLVO’s Meet the Experts: Transporter Conference series, we are pleased to announce that the sixth event will be held in San Francisco on 10-12 April, 2017. With the Meet the Experts: Transporter Conference series, we took our commitment to the transporter field to a new level. The sessions will focusing on the most relevant and up-to-date aspects of transporter science and industry applications. Dr. Benet, Professor and former Chairman (1978-1998), Department of Bioengineering and Therapeutic Sciences, Schools of Pharmacy and Medicine, University of California, San Francisco, received his A.B. (English), B.S. (Pharmacy), M.S. from the University of Michigan and Ph.D. from the University of California. He has received nine honorary doctorates. His research interests, more than 550 publications, 6 books and 12 patents are in the areas of pharmacokinetics, biopharmaceutics, drug delivery and pharmacodynamics. Dr. Benet is listed by Thompson Reuters as one of the most highly cited pharmacologists worldwide, with his published peer-reviewed papers cited more than 24,000 times. His recent work on the interplay of metabolic enzymes and transport proteins as related to oral bioavailability led to development of the Biopharmaceutics Drug Disposition Classification System (BDDCS). Dr. Benet was a Founder and first President of the American Association of Pharmaceutical Scientists (AAPS). Dr. Benet is an elected member of the National Academy of Medicine (formerly IOM) of the U.S. National Academy of Sciences and a member of the International Transporter Consortium. Dr. Brouwer is Associate Dean for Research and Graduate Education, UNC Eshelman School of Pharmacy, and Kenan Distinguished Professor in the School of Pharmacy and Curriculum in Toxicology at UNC-Chapel Hill. She received her BS in Pharmacy from Oregon State University, PharmD/Residency training and a PhD in Pharmaceutical Sciences/Pharmacokinetics from the University of Kentucky (UK) College of Pharmacy, and postdoctoral training in Pharmacology/Drug Metabolism in the UK College of Medicine prior to joining the UNC faculty. 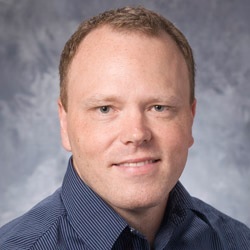 Dr. Brouwer directs an NIH-funded research program focused on hepatobiliary drug disposition, hepatic transport proteins, and development/refinement of in vitro models to predict in vivo hepatic drug disposition, drug interactions, and hepatotoxicity. Dr. Brouwer was founding Director of the UNC Pharmacokinetics/Pharmacodynamics Fellowship Program and is Co-PI of an NIH-funded Postdoctoral T32 Training Program in Clinical Pharmacology. She has mentored 40 clinical pharmacology fellows, 25 postdoctoral fellows/visiting scholars, 34 doctoral students, 23 undergraduate/honors students, and published >200 research papers, reviews and book chapters. Dr. Brouwer is co-inventor of B-CLEAR®, an in vitro method to assess hepatobiliary disposition that correlates with in vivo data, and is co-founder of Qualyst Transporter Solutions, a UNC spin-off company. 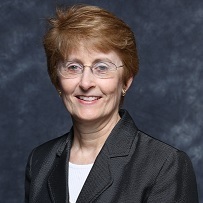 She is a member of the International Transporter Consortium Steering Committee, the ASCPT Board of Directors, and she is a member of the following editorial advisory boards: Clinical Pharmacology and Therapeutics, CPT Pharmacometrics & Systems Pharmacology, Clinical and Translational Science, and the AAPS Journal. She served as a member of the NIH Pharmacology Study Section (1998-2002), the NIH Quantitative and Systems Pharmacology Working Group (2010-2012), and co-Chair of the NICHD Pediatric Transporters Working Group (2012-2015). Dr. Brouwer was recognized as an AAPS Fellow in 1998 and received the 2001 PhRMA Foundation Award in Excellence in Pharmaceutics. In 2009, Dr. Brouwer was named a Kenan Distinguished Professor, one of the highest honors bestowed on UNC faculty. Principal Pharmacokineticist Experimental Pharmacology Seattle Genetics Bothell, WA, US. Nagendra Chemuturi received his Bachelor Degree in Pharmacy with Distinction from Kakatiya University in India. He then worked as a pharmaceutical salesman before pursuing his Ph.D. at the University of Iowa. 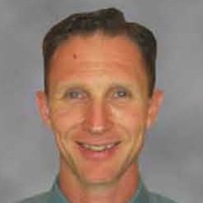 He was awarded the AAPS Graduate Symposium Award in 2005 for his dissertation work on the role of nasal drug transporters and metabolism in preferential nose-to-brain uptake of dopamine into brain. He started his career in the US at Vertex Pharmaceuticals in MA in 2005. Since then, he has worked at Alcon-Novartis and is currently a Principal Pharmacokineticist with Seattle Genetics characterizing ADME of ADCs. During his career he has served as DMPK lead on several small and large molecule projects and has led efforts to understand the role of drug transporters in ophthalmology and ADCs. He has given podium presentations at several scientific conferences, is active in IQ consortium, leading the MABEL working group and has authored/co-authored several articles and book chapters. Dr. Ayman El-Kattan is Associate Research Fellow at the Pharmacokinetics, Dynamics, and Metabolism Department, Pfizer Inc. Cambridge Laboratories. He earned his bachelor degree in pharmacy with distinction from University of Jordan and a Ph.D. in Basic Pharmaceutical Sciences at University of South Carolina in the US. His main research interests are focused on understanding the role of transporters in influencing drug disposition and oral absorption. Also, it involves studying the utility of physiological based pharmacokinetic modeling (PBPK) tools in projecting drug disposition and drug-drug interaction liabilities in man for new molecular entities (NME). He is also an Adjunct Professor at College of Pharmacy-University of Rhode Island in Rhode Island, US where he lectures in the graduate-level pharmacokinetic courses and serves as external advisor on dissertation committees. Dr. El-Kattan is a reviewer for several journals and is an active member of the American Association of Pharmaceutical Scientists (AAPS) and serves on the executive committee of the Drug Transporter focus group. He has been invited speaker over 50 times at national and international conferences and meetings and has published over 100 papers in peer-reviewed Journals, book chapters and proceedings. Dr. Niresh Hariparsad, PhD is a Director, at Vertex Pharmaceuticals Inc. Dr. Hariparsad received his B. Pharm. and MMed Sc (Clin Pharm) degrees from the University of Kwazulu-Natal in South Africa. Dr Hariparsad received his PhD from the University of Cincinnati and worked as a Senior Research Chemist in the Drug Metabolism and Pharmacokinetics Department at Merck and Co. before joining Vertex in 2010. His research interests include the use of novel tools to predict drug-drug interaction risk in the clinic. Dr. Peter Krajcsi has extensive experience in biotechnology. He received his PhD in biochemistry from University of Szeged and later a Doctor of Sciences degree in biological sciences from the Hungarian Academy of Sciences. In his academic career he has focused on three major topics (i) steroid receptors (ii) molecular biology of adenoviruses and (iii) apoptosis. For the past 13 years he has been working in R&D management positions for small and medium size enterprises in drug research and gene therapy in Hungary as well as in the United States. 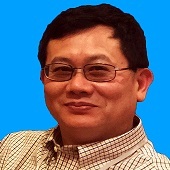 Since 2002 he is the Chief Scientific Officer of Solvo Biotechnology. At Solvo the focus is on membrane transporters and utilization of membrane transporter technology in drug discovery and development as well as in development of diagnostics tools for cancer and inflammatory diseases. Dr. Lai is a director of drug metabolism, Gilead Sciences and an Adjunct Faculty at College of Pharmacy-University of Rhode Island. He received his M.D from Fujian Medical University in China and his Ph.D. (Toxicology) from Sapporo Medical University in Japan in 1998. From 1998 to 2001, he was a research fellow of Japanese Society for Promotion (JSPS) in Department of Physiopathology, Graduate School of Medicine of Hokkaido University, followed by a position as Research Associate in Department of Pharmaceutics, University of Washington. In 2004, he joined Pfizer PDM, and has been serving as a PDM representative (PI) of drug discovery and development programs, postdoc supervisor and discipline leader for drug transporter research. In 2013, he becomes a research fellow in BMS to lead drug transporter labs. In 2017, he joined Gilead Sciences, as a director of drug metabolism. He is the author of a book, book chapters and over 130 original publications in peer-reviewed journals and is a patent inventor. Meeghan Michalewicz, M.S. is a Scientist III in the department of Drug Metabolism and Pharmacokinetics at Boehringer Ingelheim Pharmaceuticals, Inc. in Ridgefield, CT. Meeghan received her B.S. degree in Forensic Science and Chemistry from the University of New Haven. She then earned her M.S. in Pharmaceutical Sciences from the University of Connecticut. At UConn Meeghan studied with Dr. José Manautou; her thesis project involved the identification of differentially expressed genes in a model of acetaminophen autoprotection. Meeghan previously presented her thesis work at a Northeast Society of Toxicology annual meeting, and has presented posters at various scientific meetings, including the Gordon Research Conference and multiple Society of Toxicology meetings. At Boehringer Ingelheim, Meeghan is responsible for the design and validation of drug transporter assays to support development projects. Her interests include new advances in the transporter field as well as enzyme and transporter interplay. She is a member of the American Association of Pharmaceutical Scientists (AAPS), and recently presented at a TRIUMPH seminar in Cambridge, MA. 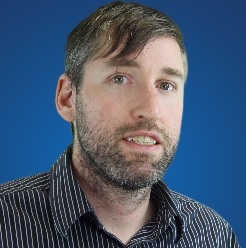 James Mullin is a Principal Scientist and Product Manager of MembranePlus™, an in silico tool to predict in vitro permeability & clearance mechanisms in different assays. James has 13 years of experience in computational modeling in the pharmaceutical industry, spending 10 years at Bend Research before joining Simulations Plus in 2014. In his most recent research, James developed models for active transport and metabolism in suspended, plated, and sandwich hepatocytes. In addition to the development of computational models, James also contributes to several FDA & EMA collaboration grants for Simulations Plus and trains scientists on the use of mechanistic modeling & simulation technology. Before joining as an assistant professor at University of Washington, Dr. Prasad worked as a postdoc fellow and a lead scientist of UW Research Affiliate Program on Transporters (UWRAPT). Dr. Prasad obtained M.S. (Pharm) in 2006 and Ph.D. in 2010 in Pharmaceutical Sciences from NIPER, Mohali, India. Dr. Prasad has published 55 peer-reviewed international papers and >70 conference abstracts and delivered >30 invited talks. Dr. Prasad also worked in Drug discovery division of Ranbaxy Research laboratories in India. Dr. Adrian Ray is Senior Director Clinical Research at Gilead Sciences, Inc. where he has been a researcher for over 14 years. He received his undergraduate degree from the University of California Santa Cruz and Ph.D. from Yale University. His accomplishments include over 80 peer-reviewed publications, serving as a primary responder at 3 FDA advisory committee meetings, and being the recipient of the 2014 William H. Prusoff award presented by the International Society for Antiviral Research. 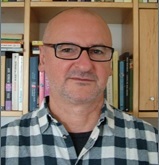 Adrian’s work has included assessing the potential for transporter mediated drug-drug interactions, characterizing the interplay between efflux transport and esterase metabolism during intestinal absorption, and assessing the coordinated activity of apical and basolateral transporters during renal active tubular secretion. 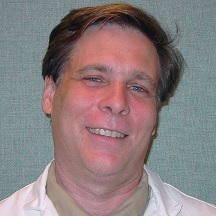 Alan T. Remaley, M.D., Ph.D., is currently the section chief of the Lipoprotein Metabolism Laboratory in the Cardiopulmonary Branch of the National Heart, Lung and Blood Institute in Bethesda, MD. He is also a senior staff member of the Department of Laboratory Medicine at the National Institutes of Health Clinical Center. Dr. Remaley received his B.S. in Biochemistry and Chemistry from the University of Pittsburgh in 1981. He received in 1987 a M.D. and Ph.D. (Biochemistry) degree from the University of Pittsburgh and completed in 1990 a residency in Clinical Pathology at the University of Pennsylvania. He did a post-doctoral fellowship with Dr. Bryan Brewer at NHLBI from 1990-1995. He has published over 200 papers in the field of lipoprotein metabolism and cardiovascular disease and is an inventor on several patents related to new therapeutic agents and diagnostic tests for cardiovascular disease. He has made important contributions to the field of HDL metabolism, particularly related to the mechanism of the ABCA1 transporter and has developed several apolipoprotein mimetic peptides, which are in pre-clinical stage development by biotechnology companies. He has also made fundamental discoveries related to the role of Lecithin:Cholesterol Acyltransferase (LCAT) in HDL metabolism and human disease and has developed recombinant LCAT as a potential therapy for Familial LCAT Deficiency and Acute Coronary Syndrome, which are in early stage clinical trials. Dr. Laurent Salphati is currently Principal Scientist in the Drug Metabolism and Pharmacokinetics department at Genentech, Inc. He heads the Drug Transporter group and has been supporting and leading immunology and oncology project teams from preclinical discovery to late stage clinical development. He received his Pharm.D. from the University of Paris XI, France, and conducted his Ph.D research, investigating the complementary roles of P-glycoprotein and CYP3A in drug absorption and disposition, at the University of California, San Francisco under the guidance of Dr. Leslie Z. Benet. His research interests include the pharmacokinetics and pharmacodynamics of drugs, and the role of drug transporters in drug absorption and disposition. Scott Q Siler, Ph.D. is the President of DILIsym Services, Inc. and Co-Director of the DILI-sim Initiative. Dr. Siler graduated with a Ph.D. in Nutrition from the University of California, Berkeley and worked for more than 12 years integrating physiology and mathematics and applying quantitative systems pharmacology (QSP) models to pharmaceutical drug development with the company Entelos. As a Principal Scientist at Entelos, oversaw and contributed to the development of the Metabolism PhysioLab. Moreover, he led multiple simulation projects with pharmaceutical partners, evaluating potential treatments for type 2 diabetes. Also during his time with Entelos, Dr. Siler oversaw the early development efforts of what would become the current DILIsym® software. Upon leaving Entelos in 2011, Dr. Siler became Co-Director of the DILI-sim Initiative and later the President of DILIsym Services. Over this time, he has continued working on advancing the DILIsym® software in both oversight and technical roles. Dr. Siler has also overseen and contributed to the development of two other QSP models for DILIsym Services, MITOsym® and NAFLDsym™. 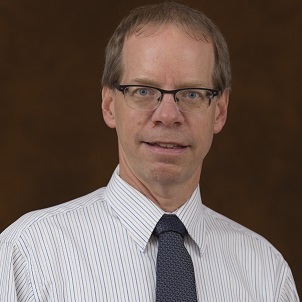 Dr. Skaar is an Associate Professor of Medicine in the Division of Clinical Pharmacology at the Indiana University in Indianapolis, Indiana. He did his graduate work in nutrition at the University of Wisconsin and lactation physiology at the Pennsylvania State University, followed by a postdoc in breast cancer drug resistance at the Lombardi Cancer Center at Georgetown University. Since joining Indiana University, his research is focused on the discovery and implementation of genomic predictors of drug response. More specifically, his studies are focused on genetic variants in the ADME genes. The discovery studies are funded by two NIH grants focused on identifying genetic variants that are associated with clinical drug efficacy and toxicity. Those variants are followed up with laboratory functional studies to understand the mechanisms underlying their association. They also include studies to identify miRNAs that contribute to the drug-induced and developmental changes in hepatic drug metabolism. He also leads an NIH-funded pharmacogenomics implementation study. The goal is to identify and overcome the barriers to using pharmacogenomics to guide clinical drug therapy. The implementation studies include prospectively testing and using pharmacogenetic testing in clinical care. He currently serves as the vice-chair of the NIH-IGNITE (Implementing Genomics into Practice) network. He has co-authored several CPIC guidelines for using pharmacogenetics to guide clinical drug therapy. 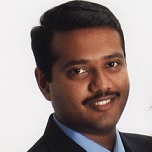 Dr. Manthena Varma, PhD is a Senior Principal Scientist, at Pfizer Inc. Dr. Varma received his B. Pharm. degree from the Kakatiya University, India in 2000, an M.S. degree in Pharmaceutics and PhD in Pharmaceutics in 2001 and 2005, respectively, from the National Institute of Pharmaceutical Education and research (NIPER), Punjab, India. 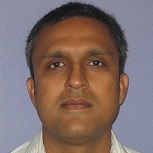 Dr. Varma worked as a Post Doctoral Fellow at University of Minnesota (Twin cities) for 2 years before joining Pfizer. He serves on the committee of the North Jersey ACS Drug Metabolism and Discussion Group and is a member of American Association for Pharmaceutical Scientists and Indian Pharmaceutical Association. His research is focused in the fields of drug transporters in ADME, clinical pharmacokinetics and DDI predictions/evaluation and prodrugs. He has over 70 original publications in the peer-reviewed journals and about 45 presentations in the scientific conferences. Dr. Vatine received his Ph.D. in 2010 from Tell Aviv University where, under the guidance of Dr. Yoav Gothilf, he studied the mechanisms underlying light-entrainment of the circadian clock using zebrafish as a model. He followed this with a short postdoctoral at Bar-Ilan University in the laboratory of Dr. Lior Appelbaum where he established a zebrafish model for psychomotor retardation. Next, he joined the laboratory of Dr. Clive Svendsen at the Regenerative Medicine Institute at Cedars-Sinai where he pioneered the concept of modeling the diseased blood-brain barrier using patient-specific induced pluripotent stem cells. His research focuses on developing microfluidic models of the human blood brain barrier designed for personalized medicine. His research also focuses on in vitro and in vivo modeling of leukodystrophies. Dr. Zastre is an Associate Professor in the department of Pharmaceutical and Biomedical Sciences, College of Pharmacy, University of Georgia. He received his bachelors in pharmacy from the University of Manitoba in 1994, and a M.Sc. in Pharmaceutical Sciences at the University of Manitoba in 1998, and his Ph.D. from the University of British Columbia in 2005. He completed two postdoctoral fellowships, one from the BC Cancer Agency in Advanced Therapeutics with Dr. Marcel Bally, and another at the Leslie Dan Faculty of Pharmacy at the University of Toronto with Dr. Reina Bendayan. After which, Dr. Zastre joined the University of Georgia in 2007. His research interest includes the regulation and function of SLC transporters in disease pathologies as they relate to the cellular availability of endobiotics and xenobiotics.